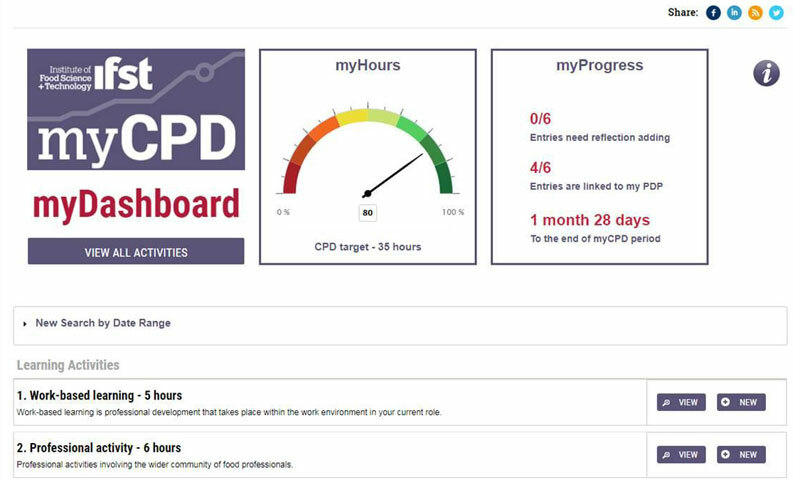 Every delegate that books a place on a Campden BRI public course, conference or seminar from June 1st 2014 will receive a free two year subscription to myCPD* - an online Continuing Professional Development (CPD) management system. Please tick the myCPD opt in box on your registration form. myCPD provides a highly personalised online facility to maintain details of your personal development plan (PDP), your planned development activities as well as records of your completed development, whether this is a formal training course or more informal, self-directed learning. Maintaining your CPD online allows you to access your records at any time, whether at work, home or when working remotely. myCPD will help ensure you keep up-to-date with your record keeping, alerting you when you need to update your records following a learning activity. Maintaining your development records online saves you having to keep paper records of your learning activities - you can simply upload and store all of your course certificates and even your notes and links to online resources - keeping everything stored in one place, a particular benefit when being audited. 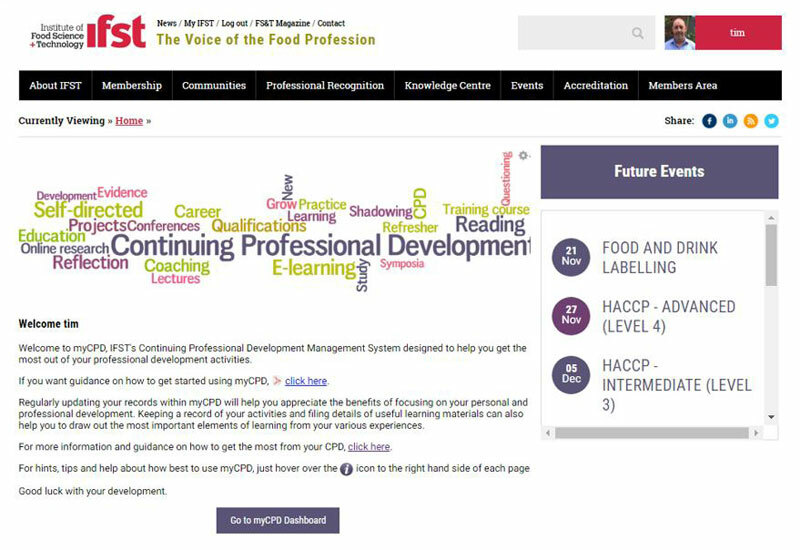 Of course, we would also encourage all food professionals, and in particular Food Safety professionals, to maintain a record of their CPD activities to keep their levels of professional competence current - whether through paper records or through myCPD. Maintaining your records using IFST's myCPD just makes the process that much easier. – Free subscription to myCPD is only available to individuals booking a place on a Campden BRI public training course/conference/seminar advertised on our website scheduled to run after 1st June 2014. Once the two year subscription has expired, individuals will need to renew with IFST, a further free subscription is not available. – The free subscription is not available on any of Campden BRI's tailored training course or event bookings. – A completed event booking form with the opt in to my CPD section ticked, or a paper myCPD consent form is required where the delegate wishes to enroll in the subscription offer. - The completed forms will be processed by Campden BRI by adding the MyCPD request to your contact record in our client database and transferring your name, email address and request date to IFST. - IFST creates the individual’s myCPD account, using the data provided by Campden BRI. - The 2 year subscription period will commence from the issue of the user log-in by IFST.